Our club is growing! Use the form below to email us for information about our league, interviewing someone on our Leadership Team, or any other question. Someone will get back to you shortly. To become a member of AG & AG, click here: Join now!. Choose your local chapter (or National eChapter), enter the style you want for your nametag and the name you want on it, and consent that you have read/understand/agree to the Terms of Membership. Add the membership to your cart, then proceed to checkout. After your order is complete, you will receive an emails with more information about the club. Your membership card and name tag will be mailed to you in 2-3 weeks. You can check your expiration date and renew your membership here: My Subscriptions. You are welcome to attend 1-2 AG & AG events to see what we’re about; however, we encourage you to officially register as a member! 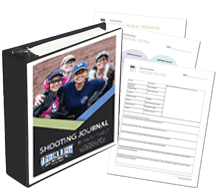 In most cases, members pay lower range fees and receive discounts from reputable vendors on range equipment and ammunition. Members also wear personalized name tags to help everyone learn names and build our community. Learn more here. How do I get a $5 discount on apparel? All AG & AG members automatically receive $5 off shirts and hats. Simply login using your username (email address) and password. After you add items to your cart and proceed to checkout, you will see a line with your discount. Where are the vendor discount codes for members? Members receive discounts on items from our vendors. In most cases, you need a coupon code or special link to take advantage of the offer. Click here to access the vendor discount codes. Your membership must be current and you must be logged in to view this page. We do not assign member numbers. Each member’s account is tied to a unique email address. You can manage your membership in your My Account area. I can’t login to the website. What do I do? You can request a new password here. If you still have problems, send us an email and we’ll reset your account or help you log in. Can I return or exchange store merchandise? Information is provided in our Returns/Refunds Policy. How do I know which chapter is closest to me? Find your home on our range map. To zoom in you can double-click with your mouse or use the + and – symbols. If you “unlock” the map by clicking the padlock on the right, you can also use your mouse to drag it. Click on the map location that is closest to you. The range page will indicate which chapter meets there. How do I start a chapter in my community? The league is successful in growing when other women step forward into leadership roles to form new chapters. Learn more here. How do I become involved with my local chapter? Just show up! We always welcome new women at our events, so just look at a local chapter’s calendar and plan to attend an upcoming event. You can also email or call your local facilitator for more information. Her contact information is found on the range pages. Find your chapter page here. How can I be involved if there is no chapter near me? Show your support and receive member benefits by joining at the National level! If a leader in your community later starts a chapter in your community, we can simply update your membership. How can my business become involved with AG & AG? 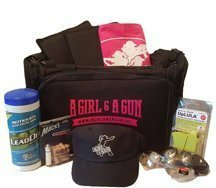 We welcome new businesses to join with us to support women shooters around the world. There are three ways that you can participate with our organization. Learn more here. We offer many sponsorship opportunities for our major events. Please click here. I would like to learn how to shoot. How do I sign up for a class? AG & AG events are fun, social gatherings, but they are NOT intended to take the place of formal firearms instruction. All of our facilitators are Certified Instructors and you may get some informal instruction at our social events. If you would like to purchase a course, here are some of our firearm instructors that offer private classes.